Not everyone wants or is able to work a full-time job. 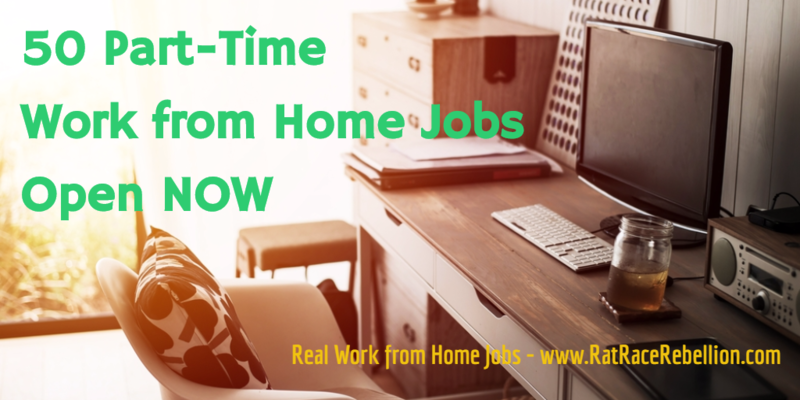 Fortunately, many work from home jobs and gigs are part-time. Here are 50 open now. This entry was posted in Part-Time Jobs, Pay-Per-Task & "Gigs", Work at Home Jobs and tagged LanguageLine Solutions, Presto Experts, Snafu Designs, Wonder. Bookmark the permalink.